In the outskirts of Telluride and Mountain Village there are residential neighborhoods in the county within a 10 to 15 minute drive of downtown Telluride. 8-12 minute drive to town, above the airport, mostly 3-4 acre lots with several larger parcels, big views and wide open spaces, paved roads, no dogs (because of abundant elk), great sunshine. Lots have been listed for sale in prices ranging from $830,000 to $1.35 million. These lots range from 1.8 to 4.54 acres in size. 3 to 4 minutes to town, north side of Highway 145 Spur, 2 miles west of town. 1980’s development of middle-priced housing. 1/4 acre lots. 40 total lots with 37 houses. 6 to 8 minute drive to town, just east of the airport, .5-1.5 acre lots, great views, paved roads, older subdivision. 6 to 8 minute drive to town, just southwest of Society Turn, deed-restricted lots and houses, paved roads, views down valley, 1/4 acre lots. 85 total lots with 45+ houses and 32+ duplexes. 8 to 10 minutes to town, just east of the airport, 1 to 3 acre lots. 8 total lots, 6 houses. Lots have been listed for sale in the area of $929,000 for 3 acres. 10 to 12 minute drive to town, right next to Mountain Village off Hwy.145 south, 1-3 acre lots. A rustic older neighborhood with many trees, good views, and newly paved roads. Horses and dogs are allowed. 205 total lots, 140 houses. Lots have been listed for sale ranging from $575,000 to $815,000. Homes have been available from $890,000 to $4.195 million. Located 2 miles south of Mountain Village on Hwy. 145, 12 to 14 minute drive to town, 3-6 acre lots, newer development with large homes, good views of Wilson Peak and San Sophia Ridge, paved roads, tennis courts. 36 total lots, 8 houses. 13 to 15 minute drive to town. South of Elk Run on Hwy. 145. Only 7 huge lots (10-18 acres) with great views. 7 houses built. Homes have been listed in prices ranging between $2.5 million to $2.65 million. Across Hwy 145 from Raspberry Patch. 13 lots total, each around 15 acres. 6 houses built so far. Lots have been listed in the area of $1.75 million. Homes have been listed in the area of $5.2 million. Another newer area north of the airport on Last Dollar Road, 35 acre lots, great sunshine, private hiking and riding trails, other amenities. Lots have been listed at prices ranging between $2.895 million to $3.150 million. Homes have been listed at prices ranging from $8.500 million to $10.600 million. 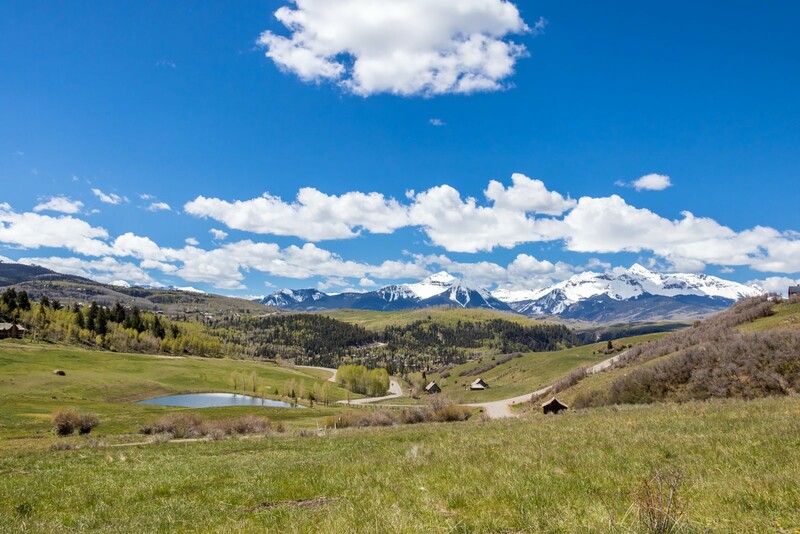 Subdivision east of Aldasoro Ranch, 35-acre parcels, very high land with big views to the south, great solar exposure, aspen groves, and rolling terrain. 10 minutes to town. Lots have been listed for sale upwards of $3.590 million. Homes have been listed ranging from $7.995 million to $12.900 million. Subdivision on the west side of Hwy 145 across from Mountain Village and the Ski Ranches, within a 10 min. drive to town. Huge views, privacy, yet very convenient to town and the airport. There are 12 big parcels from 10 to 37 acres. Lots have been listed at prices ranging from $3.15 – $7.99 million.